Fourth Grade Students at LCIS receive help with their equipment during their Cadet Training. 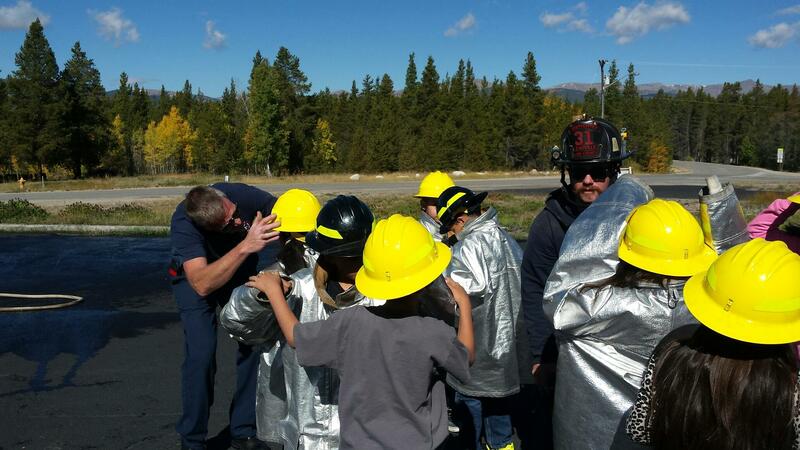 The Leadville-Lake County Fire Department visited the fourth grade class at LCIS on Friday, September 16th. Students learned about fire safety in the home and about the equipment used by fire fighters. Chief Boyle designed an AMAZING lesson that involved some classroom time and some hands-on fun. All of the students were given fire helmets, books, stickers, and a certificate at the end of their “cadet training”. 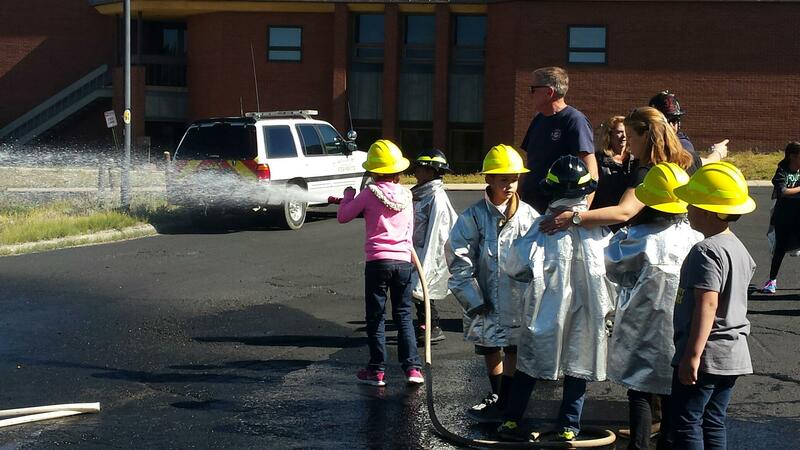 Students test out a fire hose . Officer Sam Reynolds spoke with the students about safety and even let students sit in his patrol car! We are so thankful for and so impressed by the amount of work that these brave men put forth to bring so many smiles to so many students. This day will be a lifelong memory for many of our students. Thank You Lake County Fire Fighters and Police Officers! Back to School Night and New Gym Floor! Next story LCIS Has a Healthy Halloween Celebration! Previous story LCIS Community Meeting! Lake County Intermediate School © 2019. All Rights Reserved.